The lexicon value setting_automatic_template_assignment for the name of the system setting automatic_template_assignment is too long. Go to system settings via the manager and find the entry for automatic_template_assignment. It's almost impossible to read the full line. Split the value up so one part can be used in the description instead. 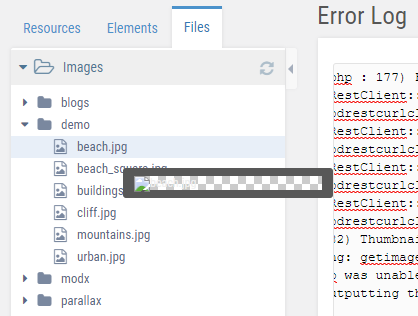 Upgraded to 2.7.0, hover over any image in the file menu. I have tested this with new files and files that previously existed in this MODX build. The file types I have tested with are .jpg and .png. When right clicking to get a context menu in the modx media browser in list view, the context menu's position is located in the same place every time. The location is not relative to the cursor. 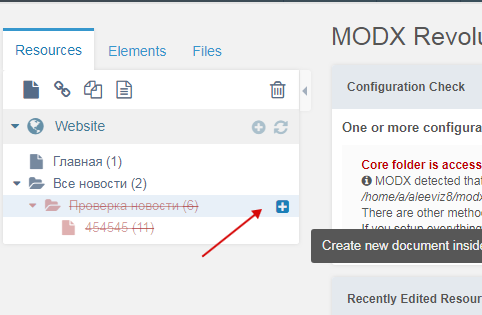 Open the MODX media browser, select list view, click a folder to show some files/images, and right click on any of them to get the popup context menu. The context menu appears, but it is not positioned correctly. The context menu should be relative to the cursor's position when right-clicking. MODX 2.6.5 and 2.7.0 (tested on both). With the new button "quick create button" (https://github.com/modxcms/revolution/pull/13774) you can create children resources and publish them in the deleted parent resource, then delete them all if you empty the trash. It is logical to remove the quick button from deleted resources. 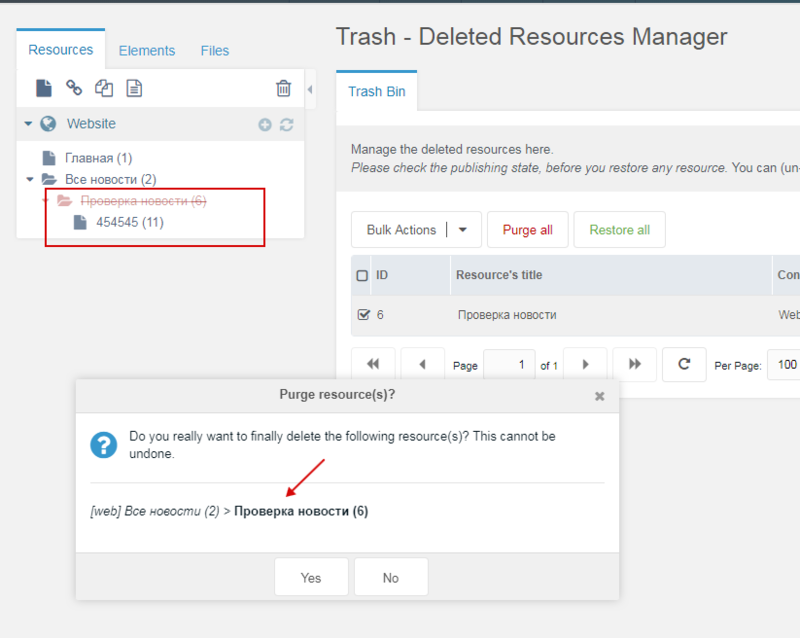 You can restore only a children resource in the trash manager (it disappear from the list in trash manager), but the parent will not be restored. And if you click "Purge resource", then everything will be deleted, but the message will be only about the parent. p.s. It is odd that you can create or restore a children resource if the parent has been deleted. It makes sense to activate and freeze the setting "Deleted" in children resources until the parent is deleted (or restore parent if children been restored).